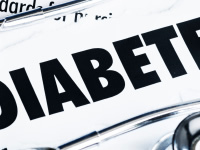 Secondary diabetes is diabetes that results as a consequence of another medical condition. Because the cause of diabetes ranges between different conditions, the way in which blood glucose levels are controlled can also vary. Secondary diabetes will often be permanent but for some forms, it may be possible to reverse or eradicate the effects of hyperglycemia. Which conditions can lead to secondary diabetes? Drug induced diabetes includes diabetes that results from taking certain medications. Medications which may bring on diabetes include corticosteroids, beta-blockers and thiazide diuretics. How secondary diabetes is managed can vary quite significantly depending on which condition has caused it. Some medical conditions listed will result in insulin resistance, which is where the body is not able to adequately respond to insulin. This forces the body to release more insulin in an attempt to keep blood glucose levels under control. Insulin resistance is a characteristic of type 2 diabetes. Insulin resistance is a feature of diabetes caused by Cushing’s syndrome and PCOS. Lifestyle changes are an important part of treatment. If medication is required to control blood glucose levels, metformin is commonly prescribed with stronger medication, including insulin, available if blood glucose levels remain elevated. Some forms of secondary diabetes, such as diabetes as a result of pancreatitis, cystic fibrosis or hemochromatosis, may result in a loss of pancreatitic function; that is the pancreas may not be able to produce enough insulin to keep blood glucose levels stable. In these forms of secondary diabetes, injections of insulin may need to be taken to keep blood sugar levels under control. However, in some cases, taking diabetes medication in tablet form may be sufficient. People that have had a pancreatectomy will not be able to produce any of their own insulin and will therefore need to take regular insulin injections in a similar way to people with type 1 diabetes. In glucagonoma, tumours in the pancreas lead to too much glucagon being released. Glucagon works in the opposite way to insulin, and instructs the release of glucose into the blood, which can result in blood sugar levels going too high. Treatment for glucagonoma is to directly target the tumour with anti-tumour therapy such as chemotherapy or through surgery to remove the tumour. In some cases diabetes will be permanent. The cases when diabetes needn’t be permanent are if the cause of diabetes can be corrected. For instance, it can sometimes be possible to reverse the effects of diabetes in hemochromatosis if the condition is adequately treated in time. Diabetes as a result of glucagonoma may also be temporary if treated successfully soon enough.